Nintendo Says 3DS Beats App Store With "Quality"
Nintendo believes gamers want better experiences over a massive library of games. It used to be that videogame systems competed with other game systems and that was it. Nowadays, most every device imaginable offer some sort of gaming functionality, right down to public urinals. The greatest exemplar of the expanded gaming market is the continued growth of the mobile games, rooted largely in smartphones. Once simple tools for communication, phones and mobile devices have grown into multifaceted multimedia experiences that some would say are beginning to eclipse traditional consoles. Others would frame things differently. 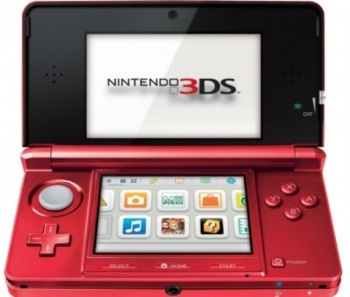 Discussing the competition between the 3DS and iPhone App Store recently, Nintendo representatives described it as being a battle between "quantity and quality." "The website 148apps.biz recently calculated that there are currently 139,000 different games actively available on the [Apple] app store," said Scott Moffit, a sales VP speaking at Nintendo showcase. "Obviously there are good games available for mobile platforms, but the Nintendo 3DS has a record of quality that's hard to challenge." According to Moffit, the 3DS has close to fifty games with Metacritic scores of 75 or higher, another eleven with a score of at least 85, and 5 ranking above 90. There is contention as to the actual value of such rankings, with even Metacritic admitting good scores are not always an indicator of fiscal success. That said, Moffit's point is clear: whatever advantage the App Store has in the amount of content, it can't compare in terms of gaming excellence. Granted, there are some excellent 3DS games that are unique to the handheld. Likewise, fewer junk games cluttering its library could make it easier for Nintendo to highlight its best exclusive titles. That said, the iPhone, and other mobile devices for that matter, are far from impoverished when it comes to good games. Prominent franchises like Final Fantasy, Grand Theft Auto, Dead Space and more can all be found in the App Store and personally, while I might buy a 3DS for games like Fire Emblem: Awakening, I'm not representative of the typical consumer. Many, looking at the iPhone they already have might very well think, "This is good enough."